SICK OF YOUR DAILY HAIR WOES? 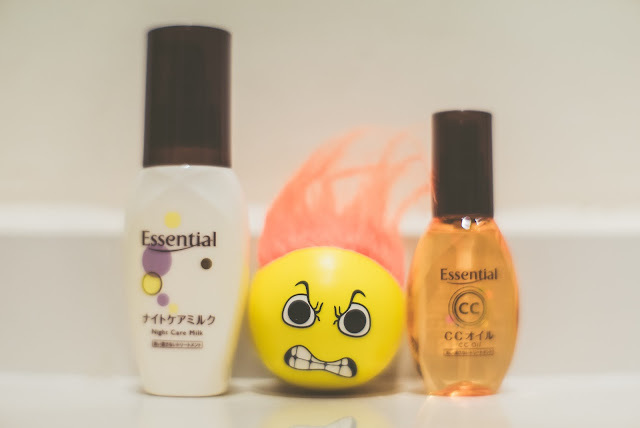 Ever wonder why your hair remains dry, frizzy and unpleasant despite spamming, spamming and spamming hair conditioner? 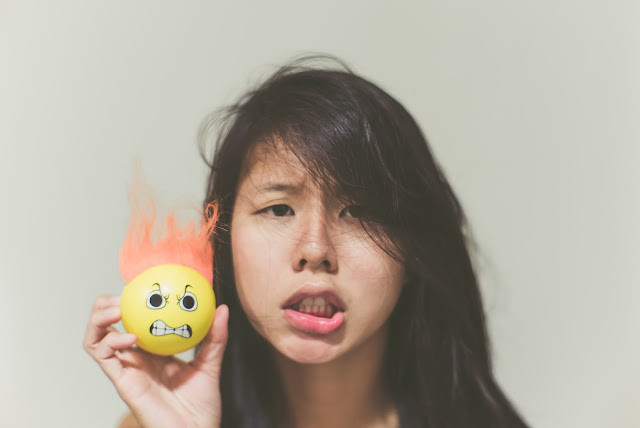 Let me introduce you to the 5 hair stresses and how they come about! When you blow dry your hair, moisture is not only being removed from the surface of your hair but also from the inside! This leaves your hair dry, brittle and susceptible to further damage. Combing your hair when it's wet can be extremely detrimental. That is when your hair follicles are most fragile! Although combing your hair when it's dry is less damaging, your hair is nevertheless still prone to breakage as hair knots are formed through friction. Friction is not only present when you're awake and active! When you toss and turn in your sleep, there is friction between your hair and the pillow - namely, pillow friction. 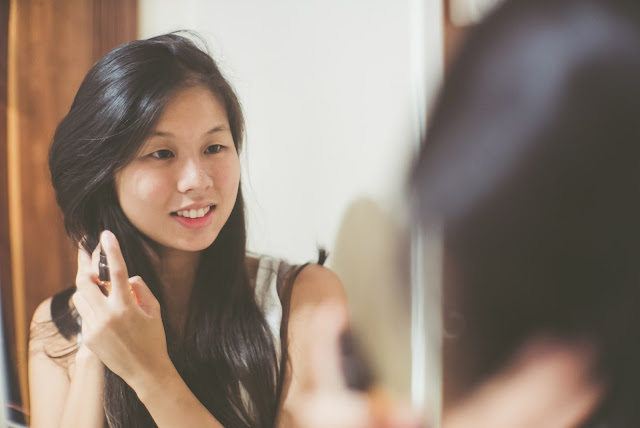 This causes your hair cuticles to be misaligned, and it is why you end up looking like a mad woman every morning! The ends of your hair are the oldest and driest parts. When the protective hair cuticles at the end of your hair are destroyed, the ends of your hair would tend to split into two or more parts. Besides styling, blow-drying and combing, other seemingly harmless activities such as tying or twirling your hair may result in hair breakage. Exposure to the sun, wind and even air-conditioning may result in hair dryness. As your protective hair cuticles are being weakened, the retention of hair moisture becomes a serious challenge. 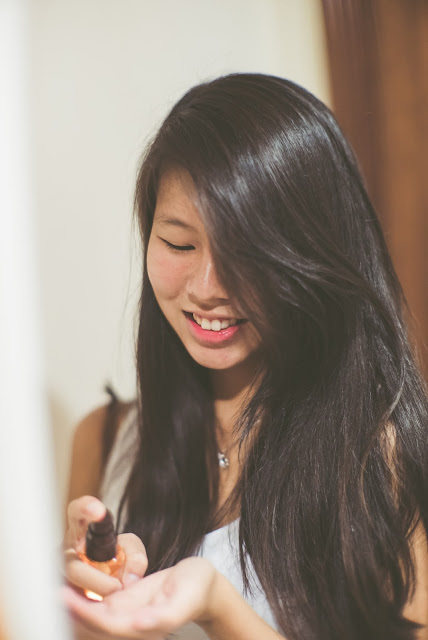 HOW TO COMBAT THE 5 HAIR STRESSES? 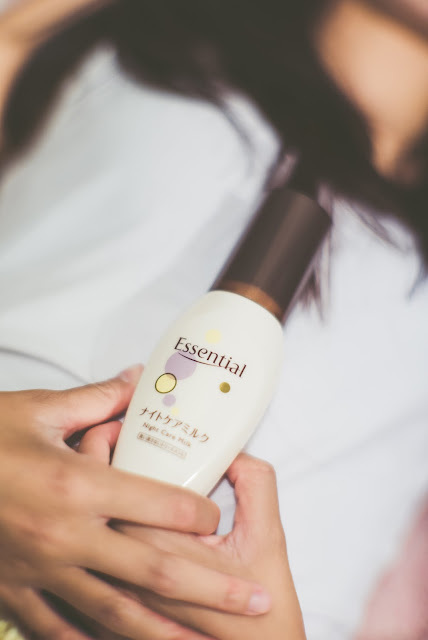 Essential, a popular haircare brand from Japan, is relaunching its Leave On Treatment range this month! This includes the brand new CC Oil and Night Care Milk. Essential Night Care Milk protects your hair from the aforementioned "pillow friction". 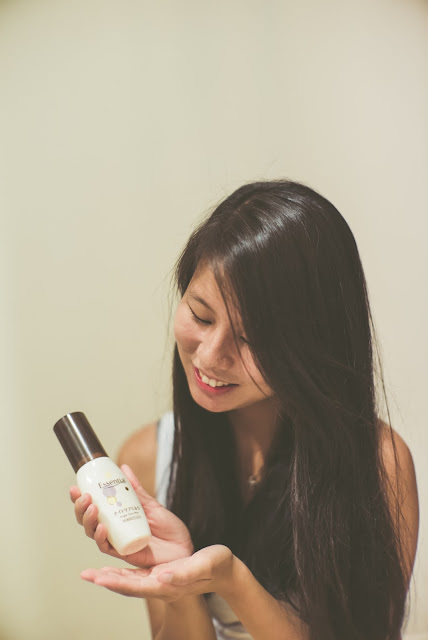 All you have to do is to apply it evenly onto your hair and leave it on through the night! With its rich (yet non-greasy) milk formula, coupled with cuticle coat protection ingredients, your hair will be magically smooth and manageable when you wake up in the morning! The best part is that you no longer have to wash your hair before leaving home for the day's adventure. Most ladies would be familiar with the BB/CC Cream in skincare. The CC Oil shares a similar "multi-functional" concept as the BB/CC Cream - it serves multiple purposes, resulting in multiple effects. In this case, it is able to combat all 5 of the hair stresses. The Essential CC Oil coats each strand of hair with a cuticle coat protection, leaving your hair smooth and tangle-free all day! 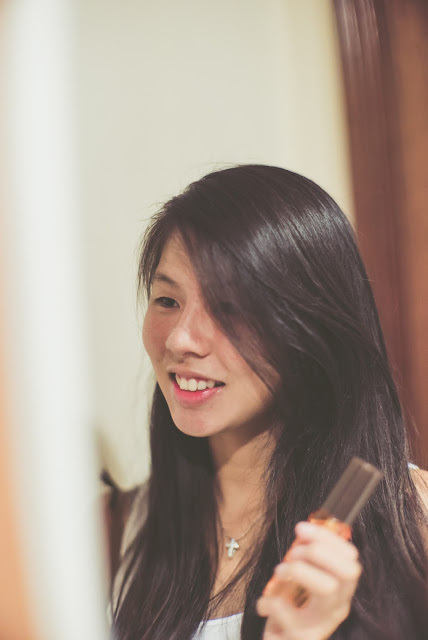 All you have to do is to apply it evenly onto your hair and leave in on for the entire day. WHAT ARE YOU WAITING FOR?! 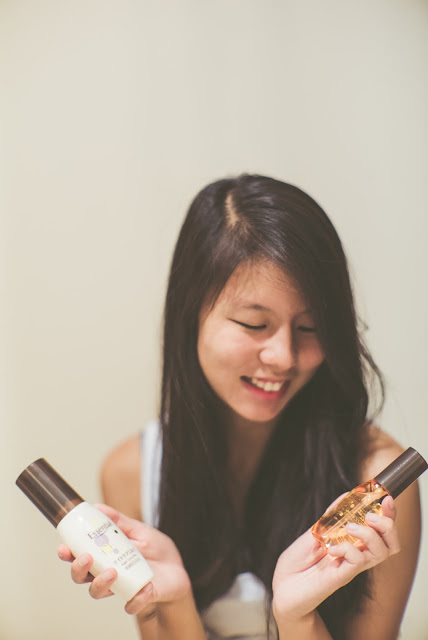 Head down to the nearest supermarket or personal care store to grab yours today! 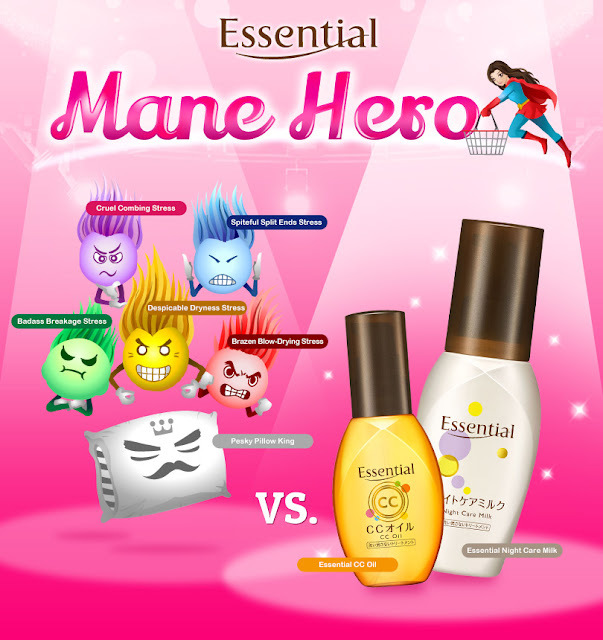 Also, check out their newly launched Mane Hero Facebook Game to win weekly attractive prizes! Because I'm pro-Singapore, I see the need for an opposition - not any opposition, but a respectful and competent one, willing to stand up to hardship and persecution. Singapore, as any other country, needs an opposition. I always believe that one of the greatest challenges to a one-party government is groupthink. Critical evaluation of policies and decisions are compromised for the sake of harmony and conformity within the party. Yes, our decision-makers are highly educated top-notch elites. Nevertheless, they are still human - prone to errors and always having room for improvement. The rhetoric of the opposition, regardless of the quality of their proposed policies, incentivises the incumbent to check for errors and strengthen their existing policies. The presence of an opposition - the devil's advocate - is therefore healthy. Because I'm pro-Singapore, I pray that the incumbent remains in power tomorrow. I cannot speak for the future but as for now, it doesn't seem like the country is ready for a new ruling party. As evident from rally attendance, social media statistics and ground sentiments, the tides have changed. The incumbent party is exponentially losing popularity while the opposition is gaining ground. I, myself, have witnessed and spoken to a handful of angry voters. No matter which constituency they are in, regardless of whether a robust opposition exists, they are bent on casting a protest vote against the incumbent. While I cannot sympathise with their disagreement on certain existing policies, I empathise with their desire for change. Nevertheless, I reserve my concerns lest the wrath of the public culminates in a poorly calculated outcome that warrants regret and anguish; an outcome that the populace is not ready to fully embrace. While there has been an increase in high-calibre opposition candidates, there still exists a great lack in potential leaders to govern this (as the late Mr Lee Kuan Yew would always reiterate) small and vulnerable island-state. The majority of the human resource that we need in order to survive, in order to thrive, currently lies in the incumbent. With our neighbouring countries watching us like a hawk, we cannot afford to (at any time) slacken the effectiveness of our policies. We need the aptitude of the incumbent, regardless of how unpopular they are, for tomorrow's Singapore. Because I'm pro-Singapore, I am optimistic about this General Election. While many are concerned about the quality of candidates making their debut in this election, I am appreciative of this diversity. Complaints about the younger generation (of both candidates and voters) are not uncommon - how we are irrational, impulsive, and unappreciative. 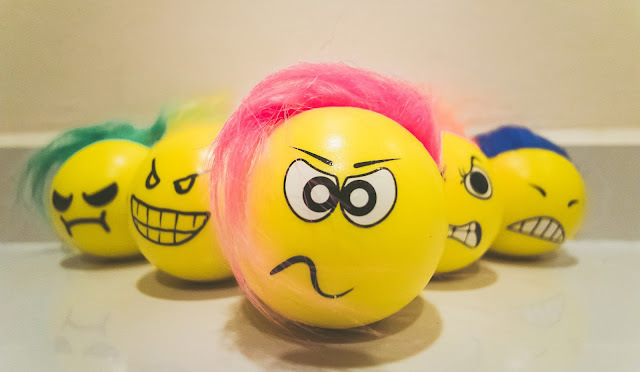 While there may be some truth in these sweeping statements, the other side of the coin is that we, "irrational, impulsive and unappreciative" youngsters, are similarly passionate, fervent and radical. We might not always say what's (politically) right, but it doesn't mean that we are anti-establishment; it doesn't mean that we do not love our country. At a glance, the emergence of unconventional candidates (who ill-represent the bulk of us) may seem detrimental our society. 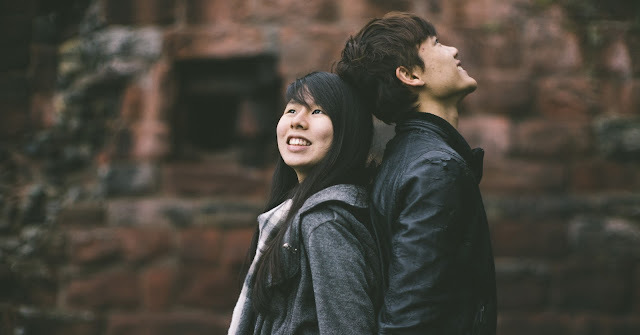 However, when I take a step back, I learn to appreciate the bigger picture of a maturing society, gradually embracing diversity. Singapore is not, what the West accuses, sterile. 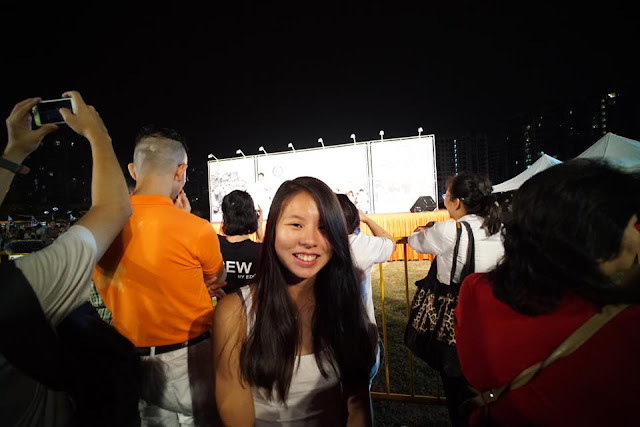 Singaporeans, and Singaporean youths, are not apathetic. It is, I believe, a good sign.